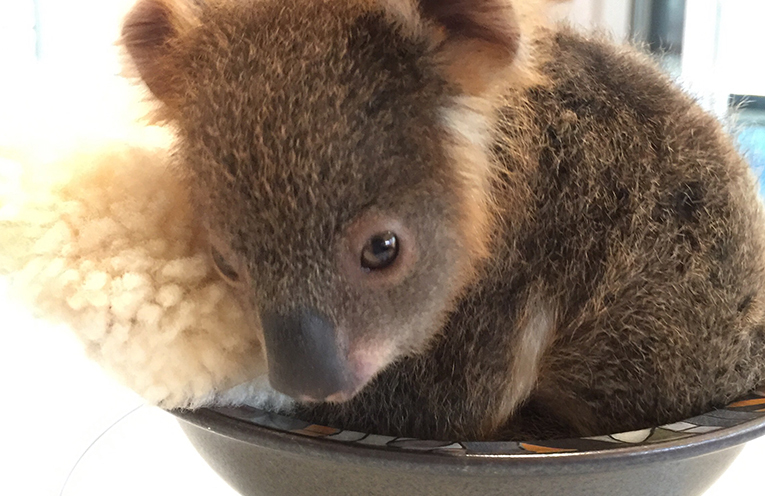 CARING for injured or orphaned koala’s isn’t something we are all able to do but Bay local Julie Jennings is a senior carer at Port Stephens Koalas and she spends hours caring for these special locals in their time of need. Morton was around five months old weighing just 340 grams when he came into care. His mother was hit by a car and thankfully the traumatised driver called us immediately late in the night and Morton was saved. 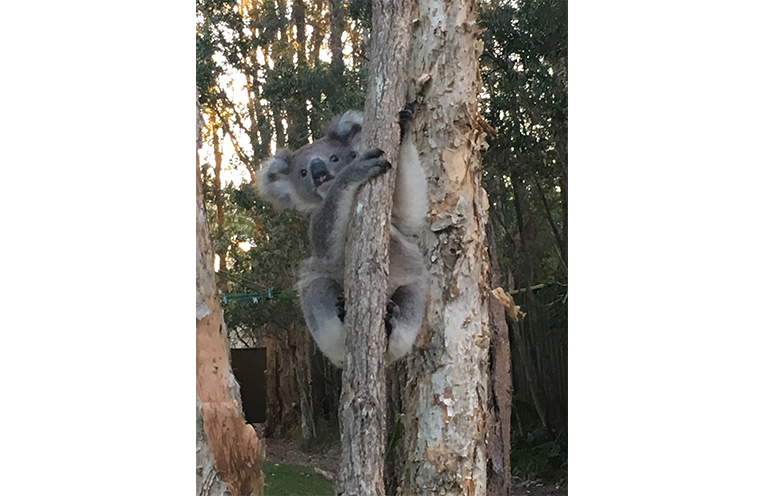 Port Stephens Koalas have five home carers and each koala gets sole attention of one carer, building a bond of trust and knowledge, learning to treat and read the animals behaviour and demeanour. Stress is a big issue with koalas, so having one carer helps enormously. As he developed he was offered inside and then outside gyms to practice climbing on, eventually he graduated to real trees. As soon as he gained weight on just leaf he was transferred to our rehabilitation facility to be dehumanised and at that point Julie’s contact with Morton ceased. Morton stayed there for a few more months until he was 2.5 – 3 kilos and then he was released in a safe location as far away from people, traffic and dogs. All Port Stephens Koalas that are released are microchipped, so if Morton ever comes into care again, we’ll know about it. Morton’s story is a reminder to all of us how important it is to check the pouch if we see a marsupial that has been in a vehicle strike incident. Morton leaving care for a life in the bush.